No, it's not how it works. No story begins with a happy ending. Nokia can tell a few about life after death but HMD is not looking at a life of Sundays. The thing with Microsoft wasn't going anywhere but it still counts as a wasted second chance. The third time, failure is not an option. Nokia and HMD seem well aware of that and the Nokia 8 looks like it has adapted to the new reality fast. The flagship Nokia 8 is well-armed with the top-of-the-line Snapdragon 835, an impressive high-res LCD, premium aluminum unibody and the latest Android OS. 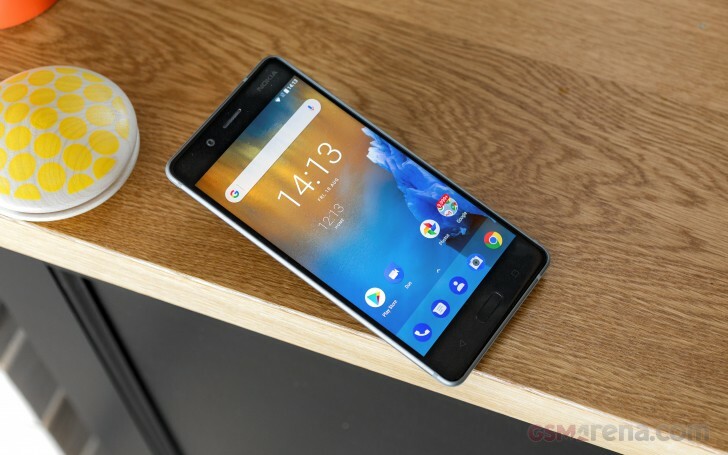 The cameraphone Nokia 8 had no other choice perhaps than have its own take on the dual-camera outfit with two 13MP sensors, an optically-stabilized color one and a monochrome one. Another 13MP unit at the front is more than just a selfie cam - it does split-screen live streaming and has phase-detection autofocus. High-end ZEISS lenses in front of all three sensors mark the return of an iconic partnership. Nokia's OZO camera division is involved in the 8 too. It co-developed the 360° spatial surround audio recording, which will capture sound with a quality to match the sharpness of the 4K video. Another rare feature, binaural audio, is supposed to offer an even more immersive split-screen viewing experience. The Nokia 8 seems so thoughtfully designed and made that we had to go nitpicking to find flaws. Modest battery capacity? We have yet to see the actual battery endurance. Aluminum 6000 instead of 7000? We seriously doubt it that another bendgate could be on the way. Splash-resistant but not water-proof? This could be it but it's still better that than nothing. Nokia has a legacy to protect and a future to build. Once an industry pillar, the brand has a long way to come back from oblivion. And while the Nokia 3, 5 and 6 surely helped restore some confidence, it's up to the 8 to rekindle the old glory. Or go down trying. Curious to know which way it's heading? So we are - but first things first.